Part of this past weekend I spent reorganizing all things makeup and skincare. My vanity was an absolute disaster area; I actually was still grabbing stuff out of the makeup bag I’d packed for Christmas and had yet to unpack. Yep, this is real life. I’d lived with it for about a month and finally got sick enough of it that I decided to do something about it. In an effort to keep things even more organized than I had them pre-vacation, I bought another set of these nesting boxes from Nate Berkus’ collection for Target. I’m keeping my makeup extras, samples, and “off-season” items in those boxes, and I moved everything I really wanted to wear during the month of February to my vanity top and organized it. So far, it’s working out really well for me. I’m using products I completely forgot I had, and there’s just something about having a clean space that makes me excited to do my makeup in the morning. 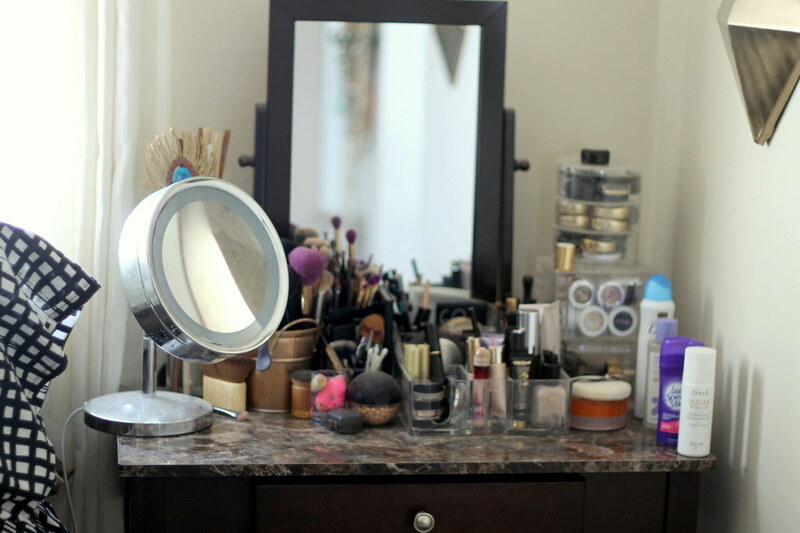 How do you organize your makeup? Feel free to share your best tips with me!